In September 2017, Saudi Arabia became the last country on earth to grant its women citizens the right to drive. The landmark announcement by up-and-coming Crown Prince Mohammad bin Salman activist was likely thanks to Manal al-Sharif. An outspoken women’s rights advocate and activist, al-Sharif helped establish the 2011 Facebook campaign “Women2Drive.” This ultimately led to her arrest, but, like the badass woman she is, al-Sharif didn’t give in. She continued to advocate for women’s right to drive in Saudi Arabia and shed light on the government’s abuses towards its citizens. In 2011, Foreign Policy magazine named al-Sharif one of their “Top 100 Global Thinkers”, and in 2012 was named among Time magazine’s “100 Most Influential People”. Today, al-Sharif continues to be one of Saudi’s most prominent voices for women’s rights and in 2017, published her first book, Daring to Drive: a Saudi Woman’s Awakening. Named a BBC Top 100 woman in 2014, Hatoon Kadi is a wife, mother, and online sensation. Noting an absence of women in Saudi’s stand-up comedy circles, she set out to become a humorous voice for social issues. 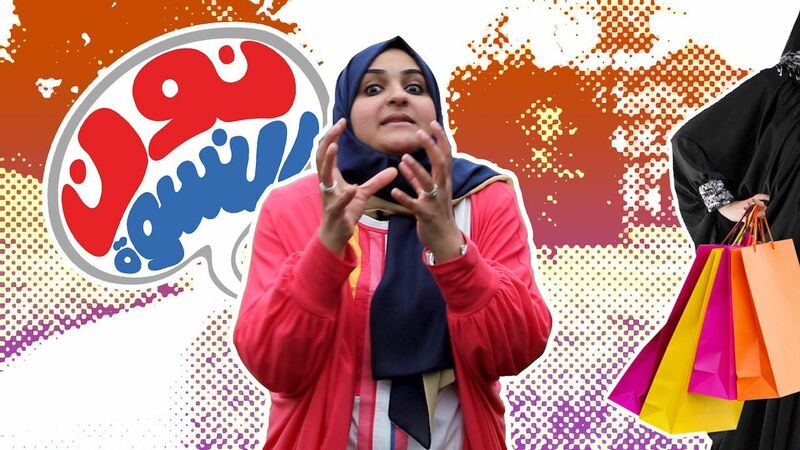 Her wildly popular YouTube show, Noon Al Niswa, spotlights topics like gender while bringing humor to what are often politically-charged discussions in a deeply conservative country. In one video, she quips, “The most important man in a Saudi woman’s life is her driver.” Following the September announcement affording Saudi women the right to drive, she once again broached the subject: “Real Saudi men can now acquire the long-awaited position as the most important man in your wife’s, or your sister’s, or your mother’s life. It’s not the driver anymore.” Kadi has also used her platform to bring attention to the Syrian refugee crisis, and visited Zaatari Camp in Jordan in 2016 with a group of social media influencers from the Gulf region to launch a financial support campaign. As a mother of two children, a weekly columnist for an English-language Saudi newspaper, a part-time university lecturer at Dar Al-Hekma University, School of Business and Law in Jeddah, and a newly-awarded Doctor of Philosophy, Kadi is nothing if not a badass example of what it means to be a multitasking mastermind. She’s setting an example for women everywhere that limits are what you make them to be, that hustling for what you want pays off, and that we can (and should) use our voices to lift the voices of others. As the first woman in Saudi history to deliver an opening keynote address at a major conference in Saudi Arabia, the Jeddah Economic Forum, Lubna Olayan knows how to work a room. She’s a frequent guest on high-power lists, including Forbes’ “Most Powerful People” and Time magazine’s “100 Most Influential People.” In fact, in 2017, Olayan claimed the spot of Forbes’ 59th most powerful woman in the world. Olayan is also helping Saudi women smash gender barriers; after 18 years of only having male colleagues, she succeeded in bringing another woman on board to her family’s Saudi-based multinational conglomerate. Ultimately, it’s all about the bottom line; “letting talented women find employment is better for the economy,” she insists. To that we say, here’s to shattering more glass ceilings, women-run workplaces, and boosting those bottom lines. Saudi’s first female filmmaker didn’t start out intending to be a feminist powerhouse, but that’s exactly what she has become. Her work addressing gender norms and expectations has made her a household name in directors’ circles everywhere from Saudi to the Netherlands. 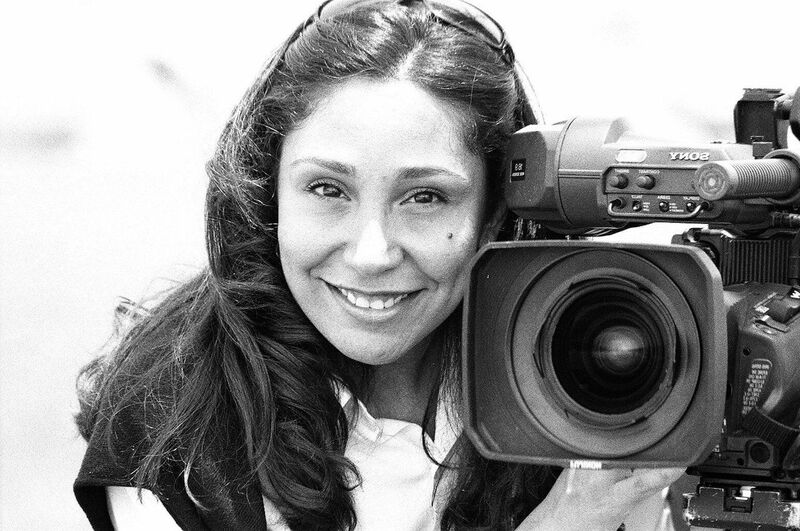 Al Mansour both wrote and directed her feature film debut, Wadjda, which tells the story of an 11-year-old girl growing up in Riyadh’s suburbs with a dream to learn how to ride a bike. The first full-length feature to be shot entirely in Saudi Arabia and the only feature-length film made in Saudi Arabia by a female director (at the time of its release), Al Mansour broke new ground and set the stage for future female artists and visionaries to take their place among Saudi’s growing film scene. Her film also succeeded in garnering a first-time nomination for Saudi Arabia as “Best Foreign Language Oscar” at the 86th Annual Academy Awards in 2013. Both Wadjda and Al Mansour’s other works, including short films Who?, The Bitter Journey, and The Only Way Out have helped generate discussion on important women’s issues, and to challenge to role of women in the conservative Kingdom. Her most recent directorial venture, Mary Shelley, premiering at the 2017 Toronto International Film Festival, was received with acclaim. Another project, Miss Camel, about Saudi teen Hayla who dreams of escaping her arranged marriage and attending art school, premiered at the Dubai International Film Festival and was shortlisted for, and eventually won, the IWC Filmmaker Award. Despite accusations from some in her home country of impiety, Al Mansour shows no signs of backing down. In fact, if 2017 is any indication, she’s just getting started. Born in Riyadh and raised in Beirut, Lebanon, visual artist and designer Balqis Alrashed is perhaps most famous for the provocative images she presents through her black and white photography series, #AStateofPlay. In it, a niqab-clad woman, only her eyes showing, spins and twirls with a hula hoop. The series, which explores “the practice of play and the physical constraint of the veil,” generates imagery that is what Alrashed describes as “shocking but enchanting,” designed to surprise and generate discussion among her audience. Alrashed is no novice. She first emerged on the art scene in 2010, when she co-founded Qabila Apparel, a Saudi-based clothing line. In 2015, she exhibited her installation “Once, we fell from the sky and landed in Babel” at the Sharjah Art Foundation. In 2017, she served as the first international artist in residence at the Utah Museum of Contemporary Art. She was also picked by Nike to be one of five Saudi women featured in its “Believe in More” campaign.